Parental Notification takes place when a student is found in violation of the university’s alcohol or other drug policy. In 1998, the Higher Education Reauthorization Act of 1998 (HERA) amended the Family Educational Rights and Privacy Act (FERPA) to allow institutions of higher education to notify parent(s) or legal guardian(s) of students under the age of 21 at the time of disclosure, when their student has been found in violation of this policy. The parent(s) or legal guardian(s) will receive written communication informing them that a violation has been committed by their student. While the university may notify the parent(s)/guardian(s) that a violation has occurred, it will not discuss the violation with parent(s) or legal guardian(s) without the student’s written consent. 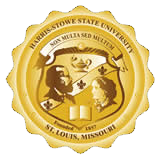 Harris-Stowe State University educates its students regarding the effects of alcohol and other drug abuse on their educational experience. The university recognizes that parents can be valuable partners in our efforts to create a culture free of alcohol abuse and illegal drug use. To involve parents in this effort, HSSU will notify the parent/guardian of students under the age of 21 years, found to have committed alcohol and other drug-related violations of the university’s Code of Student Conduct. What is the HSSU Policy on Alcohol and Other Drug Use? The following sections of the University’s Code of Student Conduct describe behaviors which are considered violations as it relates to alcohol and other drug use. Section 16 – Drunken or disorderly behavior on property owned or controlled by the university or at functions sponsored or supervised by the Harris-Stowe or its student organizations. The university’s Statement of Student Rights and Code of Student Conduct can be viewed in its entirety on the University’s website. • The parent(s) or legal will be notified if an underage student has been found to have any violation of Section 13 of the Code of Student Conduct or a Violation of Section 13 and or Section 16 of the code. • The student will be allowed a 48-hour period following the adjudication to notify the parent(s) or legal guardian(s) of the violation prior to the university issuing the written communication to the parent(s) or legal guardian(s). • The Vice President of Student Affairs/Enrollment Management or designee reserves the right to contact the parent (s) or legal guardian(s) if it is indicated that the student poses a danger to him/herself or to the university community.